When one past Ospreys signing turned up for his first media session after arriving at the Liberty, he admitted to having studied the spectacular mural on a wall in the Sony Suite at Llandarcy, a work of art that captured the deeds of great players who had spurred the region forward in their first decade. “I’ve seen all the names and faces on that wall and it would be huge if I could follow them and leave a legacy,” he said. Sadly, his image never made the mural. It wasn’t totally his fault. The Ospreys no longer had the all-round firepower to challenge for trophies and the chap in question, an excellent player, was hit by injuries. He eventually left without fanfare. The tale underlines there are no guarantees for any new signing. 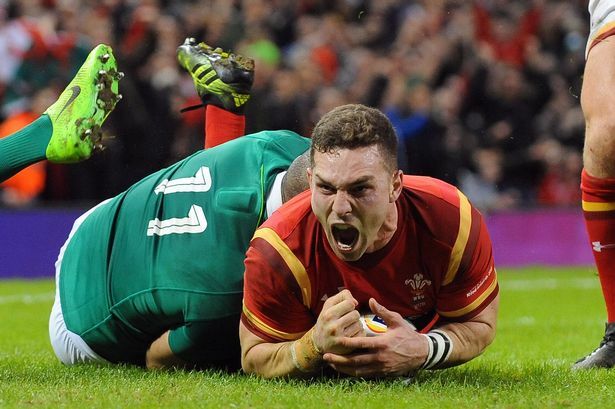 On Monday, George North will check in at the Ospreys, starting his customised pre-season programme. He is the type of signing the region used to make as a matter of course, a marquee player to excite fans and give the team an extra dimension. Justin Marshall was recruited in 2006, Marty Holah the following year, Tommy Bowe the season after that and Jerry Collins came in during 2009, with every one of those a success. 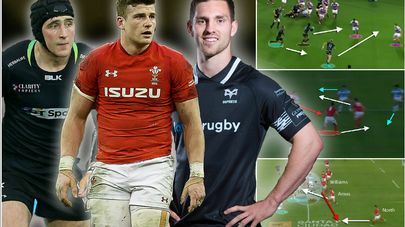 Marshall gave the Ospreys belief and encouraged already good players to feel they could be better; Holah delivered grit and world-class excellence week-in, week-out; Bowe contributed lethal opportunism and tries, lots of them; and Collins supplied unbreakable resolve and immense power. It is a different world at the Ospreys today, of course. But class always counts and North’s goal will be to make a difference. 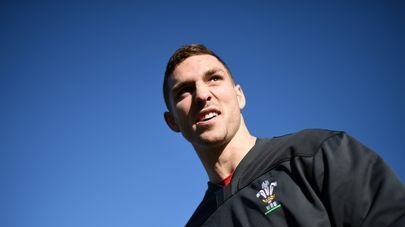 Supporters might even quietly hope that the scorer of 33 tries from 76 games for Wales will prove the kind of success out wide that Bowe and Shane Williams once were. Is such a thing imaginable? Head coach Allen Clarke said: “Wings pride themselves on scoring tries and I am sure George is no different in that respect. “But he also has an all-round game that is going to help us. “The challenge for us as a team is to get him on the ball during matches and give him opportunities to show what a good player he is. “We have to remember, too, that it’s a team game and we need everyone to be firing. If the Ospreys can get North playing to potential, they will be on their way. His defence has been criticised, but he can be devastating in attack, never more so than against Ireland in the Six Nations in 2017. That night North ripped apart one of the best defences in world rugby with five clean breaks, eight defenders beaten and two tries. Not even Joe Schmidt could nullify the 6ft 4in, 17st 5lb wideman. Schmidt is arguably the most meticulous coach in the game, a man who stays up until the early hours and rises before dawn to watch matches back on tape and give his side an extra edge. But in that match the only way to counter North would have been to shell him and then send in the infantry. Against New Zealand a year earlier the big man made six clean breaks in opposition to Julian Savea, who found himself dropped for the next game. The Ospreys will look to the midfield triangle of Sam Davies, Owen Watkin and Scott Williams to create chances for their new Lion out wide. 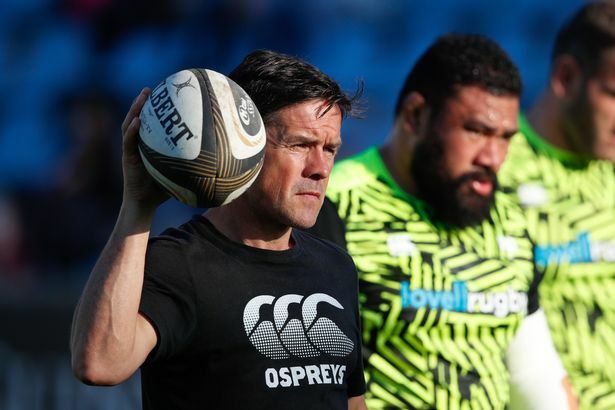 If backs coach Matt Sherratt can ignite the potential of that trio — and he will need the Ospreys pack to deliver — the possibilities are considerable. Is there scope to improve North? “The day a player or coach feels he is the finished article is the day he should get out of the game,” said Clarke. “If myself, Brad Davies, Matt Sherratt, our strength and conditioning team and everyone else didn’t feel we could put packages together to improve players then we shouldn’t be in our positions. The Ospreys will hope the acquisition of North captures the imagination of their support base. “He has tremendous appeal in world rugby and represents much of what’s good about Wales,” said Clarke. “Considering all he’s achieved at such a young age, he’s very grounded and his modesty is admirable. “So I think he will prove popular with everyone. * Chris Jones is the only player who was banned for life TWICE. This is his story of redemption. * It’s been some sporting life for Mike Rayer, who has a drinking session named after him! Here's the life and times of Mike Rayer. * David Bishop was an incredible rugby ping keith murochlayer and a character the like of which has rarely been seen before. This is 'Bish' at 57. * Everyone knows Jonathan 'Jiffy' Davies. This is the story of the tragedy that has affected his life andthe remarkable thing he chose to do next. 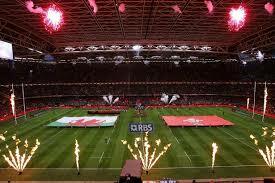 * On the grounds of one of the most famous rugby stadiums in the Welsh Valleys, there lies a house. It is an ordinary house that has an extraordinary story to tell. * Colin Charvis was a maverick; a Welsh rugby player who made headlines on the front and back pages and was always forthright with an opinion. We went to see him in his day job, found out about his new life and got to the truth about the most controversial smile in Welsh rugby history. North will be used primarily as a wing. Warren Gatland has said he’d like to see North deployed at times in the centre by his new region. While they don’t rule that option out, the Ospreys have signed him to play out wide. “George was recruited as a wing,” said Clarke. “He can play in the centre and it may be that we move people around at times, with the aim of manipulating our attack. Some will feel it is a big ask for North to come close to matching the achievements of wing legends Bowe and Williams at the Ospreys. But he is no ordinary player. He is someone capable of lifting his game to great heights. It would be a surprise if his image doesn’t appear on any future murals at the Ospreys.